Birches are among the first trees to take hold and colonise desolate areas. They have no trouble growing on stony slopes, in nutrient-poor soil. Records suggest that in evolutionary terms, they were the first trees to get going in the UK, and they show their toughness by popping up in quarries, on roadsides and, well, anywhere really. This birch tree grows beside Langstrath Beck where the water tumbles white and pure over slabs of rock laid out like oversized steps. Though its roots are well anchored in the marshy ground, it appears to grow out of stone, and has forced a neat curve at the base of its trunk to allow itself to reach up towards the light. We weren’t actively aiming to find a tree when we were drawn over to this one. We were heading out on a longer walk from Rosthwaite and hadn’t intended to have a break so soon, but spotted this birch and wanted to look more closely. The combination of the beautiful tree and its setting, framed by the sides of the Langstrath Valley, and the mesmerising flow of water over stone was enough to keep us occupied for well over an hour. Another reminder that the value of a walk is not always measured in the miles covered, or the ascents gained, but in the details of the life in the land and the wonder of pausing to look, listen and feel what’s going on. in its song – and what is the song of this tree? 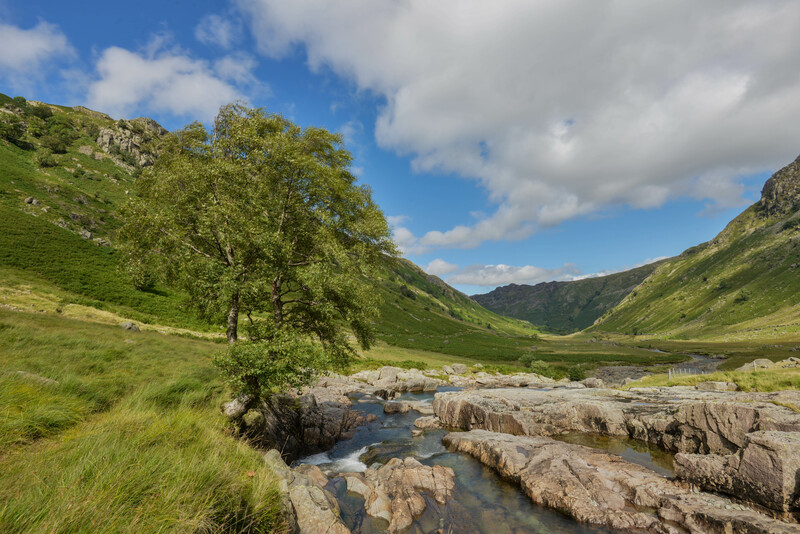 We’ll be walking into the stunning Langstrath Valley and considering the way the land has been shaped over time, the current farming practice there, and the place of this birch and many other trees (including a healthy elm). To find out more and to book, visit The Long View Walks page. 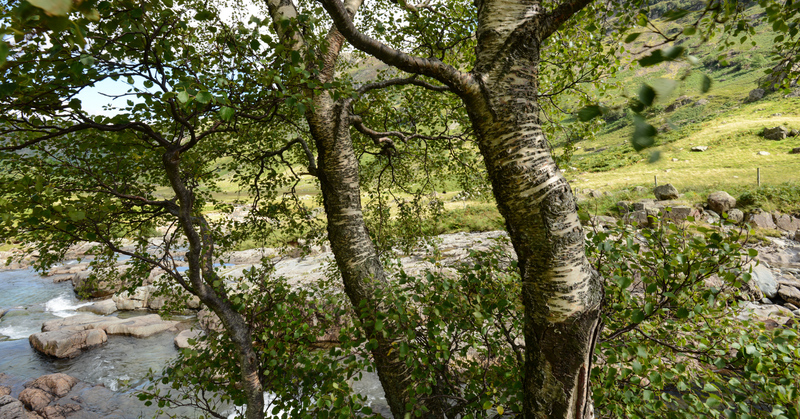 We’ll be posting in the blog about our journeys to the Langstrath Birch, and sharing facts about birch trees in the UK and beyond. Links to birch-related blog posts will appear on this page throughout the year.